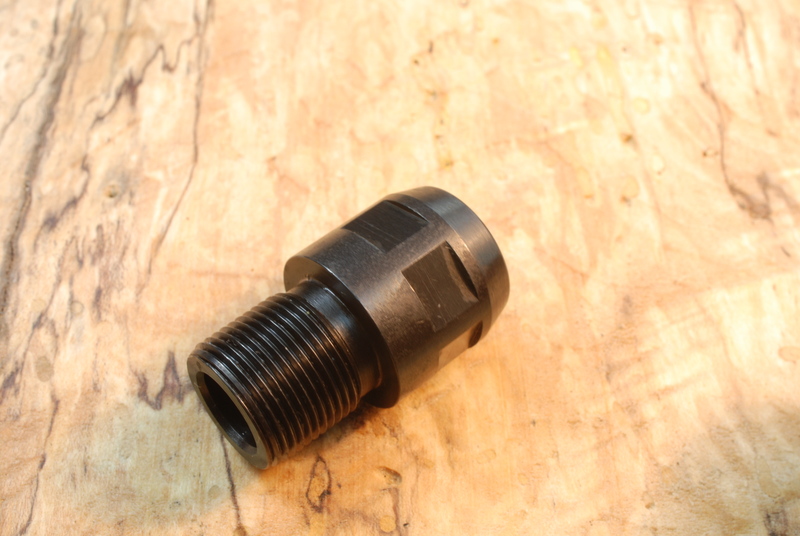 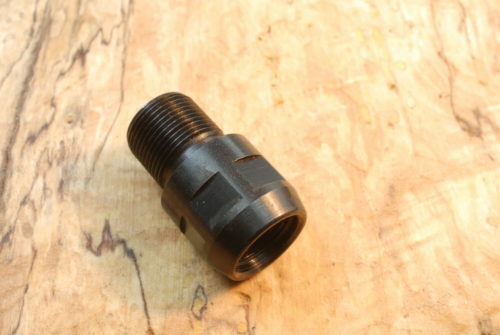 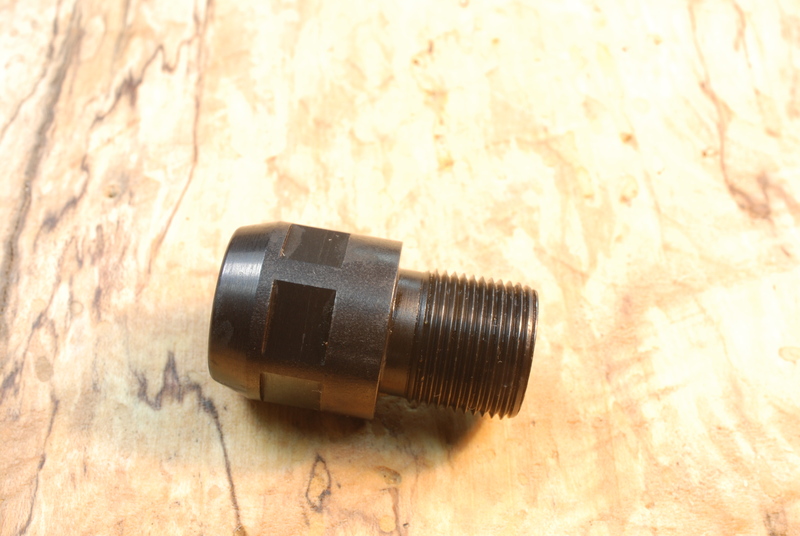 This adapter fits all 9/16″-24 RH threaded barrels, when installed allows the use of all 5/8″-24 threaded barrel devises or accessories. 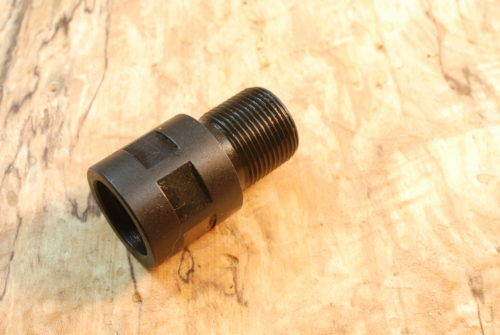 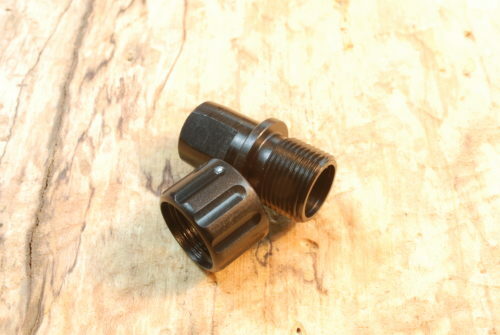 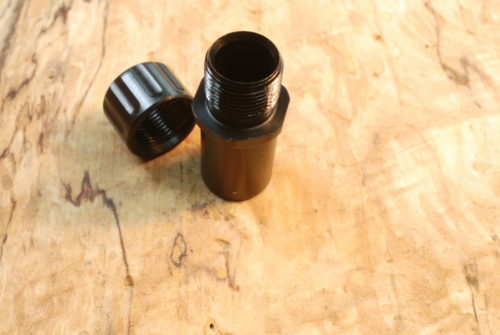 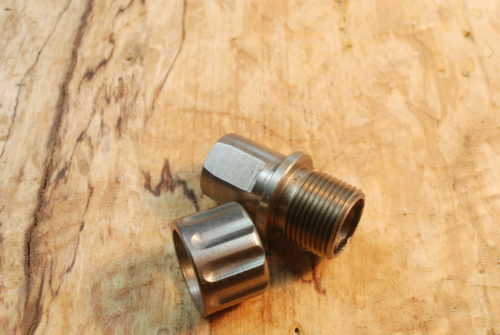 This adapter provides either internal or external seating with proper alignment. 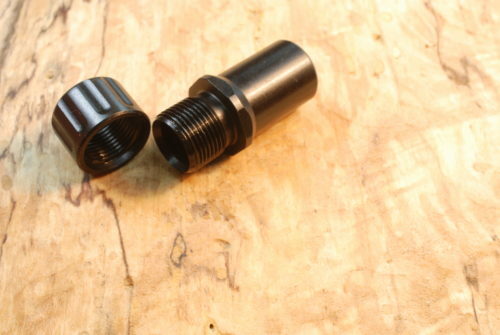 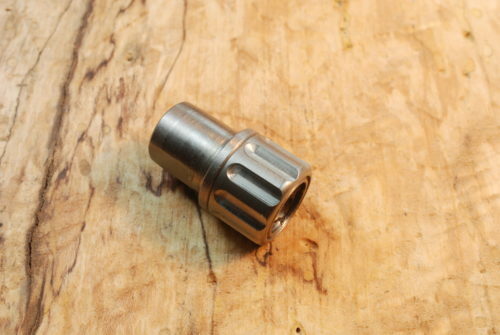 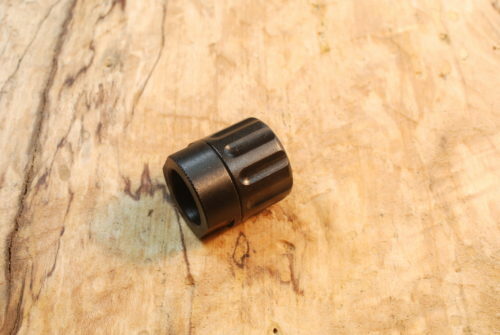 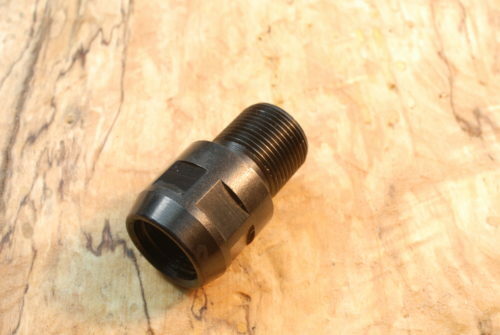 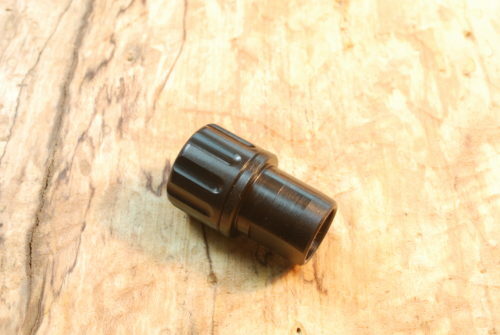 the adapter is made to register on the muzzle of the gun barrel internally with long threaded or thin sporter barrels or to register externally on the shoulder of barrels with standard threading and or larger diameter barrels. 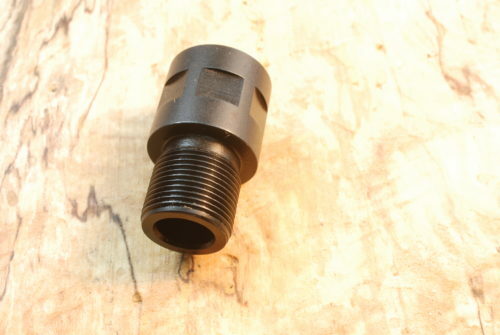 I understand that some folks may not like to see exposed threads but functionally the adapter is safe to use with suppressors giving proper alignment when the adapter is internally or externally registered. 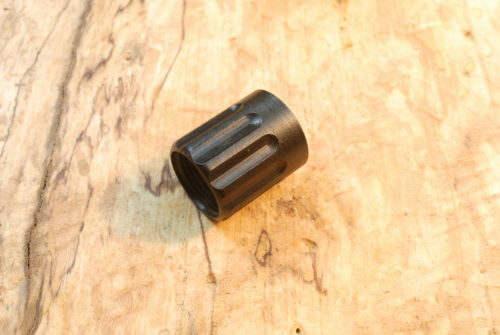 There are so many variations in barrel diameters, thread lengths etc. 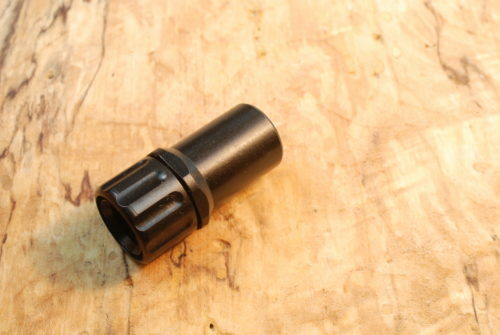 that we decided to make an adapter that will work on both long thread spec or small diameter barrels by registering internally on the barrel face / crown and on standard and pistol length threads by registering externally on the barrel shoulder.